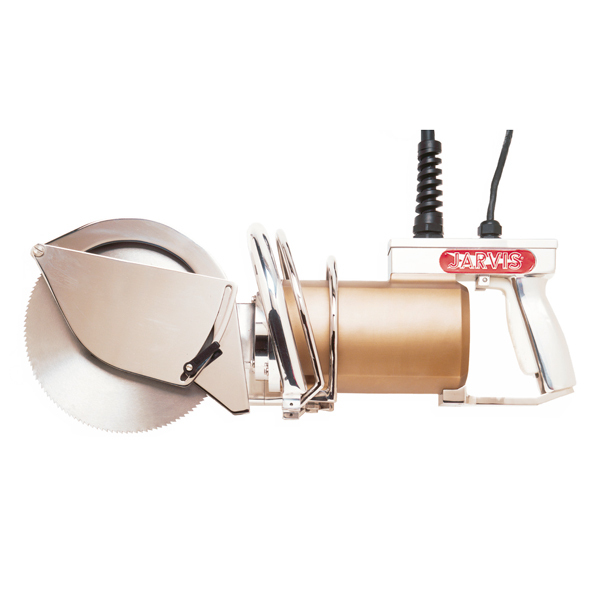 The Jarvis Model SEC 230-4 – electrically powered circular breaking saw. – Beef: cutting chucks, shoulders, ribs, forequarters, hindquarters, chine bones, briskets and loins. • Sealed, 2.25 hp electric motor for ultimate performance. • Short overall length and specially designed handles for easy handling. • Features electric or mechanical braking. • Smooth surface construction for easy cleaning and optimum hygiene.